Wisconsin, known as “America’s Dairyland,” should probably be known as “America’s Deerland.” Located between the Great Lakes and the Mississippi River, Wisconsin is often considered the top state in the U.S. for hunting big white-tailed deer. The northern part of the state is heavily forested, with mixed hardwood and coniferous forests interspersed with thousands of small lakes. Much of the rest of the state is rich in farmland, and is the reason the state is famous for its dairy products. This geographic diversity has produced a thriving herd of over a million whitetails. In addition, Wisconsin has nearly 6 million acres of public land and sells licenses over the counter for nonresidents that are good for one buck and one doe, making the state a deer hunter’s paradise. Not only are Wisconsin deer abundant and big in body, but the antler genetics in the state are excellent. In fact, Wisconsin is the top producer of Boone and Crockett bucks in the country. The B&C records list 1,215 typical bucks and 484 non-typical bucks taken in Wisconsin, and many of these were taken in the past ten years. The typical state record, which is also the No. 2 all-time record whitetail, was taken by James Jordan in 1914 and scored 206 1/8; the non-typical record is held by Elmer F. Gotz and scored 253. In addition to deer, Wisconsin offers hunting for black bears, wild turkeys, waterfowl, and upland game. Wolves were recently re-listed as endangered and are currently not huntable. The black bear population is thriving and expanding its range; in 2010, the state recorded a record harvest of 5,000 black bears. Baiting and hunting with dogs is legal; however, these methods are restricted to certain season dates. Wild turkeys were reintroduced to Wisconsin in 1976 and population levels are increasing statewide. Turkeys can be hunted in both spring and fall. 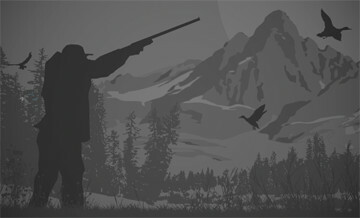 For more information on hunting in Wisconsin, see http://dnr.wi.gov/topic/hunt/. Prized as an ornamental species for many years, the fallow deer (Dama dama) displays a variety of coat colours, ranging from red, brown and black, and even pure white coats. A black line runs along the back to the tail, and there are often white spots on the back during summer. The coat becomes darker and thicker in winter, and these white spots become more faint. Males have impressive antlers that can measure up to 70 centimetres in height. Calves are born with a coat similar to the summer coat of the adult. The Ranch and Preserve sits on beautiful forested land within Central Wisconsin’s Waushara County. Our trophy whitetails, elk, and fallow deer are renowned for their size, health and beauty. All hunts include fantastic luxury lodging, gourmet food, use of the rifle range or archery range. 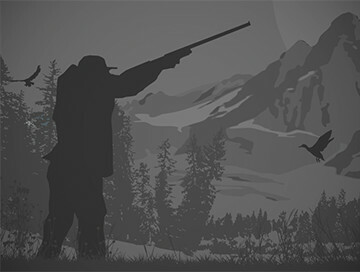 Best of all, no other hunting parties will be present while you are hunting. It’s your personal hunting ground. Our hunting guests can enjoy the comfort of our deluxe, fully enclosed hunting stands — all insulated, heated and equipped with high quality spotting scopes. White-tailed deer, the smallest members of the North American deer family, are found from southern Canada to South America. In the heat of summer they typically inhabit fields and meadows using clumps of broad-leaved and coniferous forests for shade. During the winter they generally keep to forests, preferring coniferous stands that provide shelter from the harsh elements. The Ranch and Preserve sits on beautiful forested land within Central Wisconsin’s Waushara County. Our trophy whitetails, elk, and fallow deer are renowned for their size, health and beauty. All hunts include fantastic luxury lodging, gourmet food, use of the rifle range or archery range. Best of all, no other hunting parties will be present while you are hunting. It’s your personal hunting ground. Our hunting guests can enjoy the comfort of our deluxe, fully enclosed hunting stands — all insulated, heated and equipped with high quality spotting scopes.